For my seventh grade French recipe project, I made a cooking video of me making flourless chocolate cake. My cake was a success. My video was not. Unbeknownst to me, I had created something gluten free. This was before gluten-intolerance seemed prevalent and before I knew that some of my friends would later not be able to eat gluten products. My time in Australia thus far has shown me that eating gluten free can be easy because here, like some diets or fashionable eating lifestyles, gluten-free is in. Now there is a whole argument for whether this is any healthier for you, but I have neither the expertise nor willingness to discuss that here. 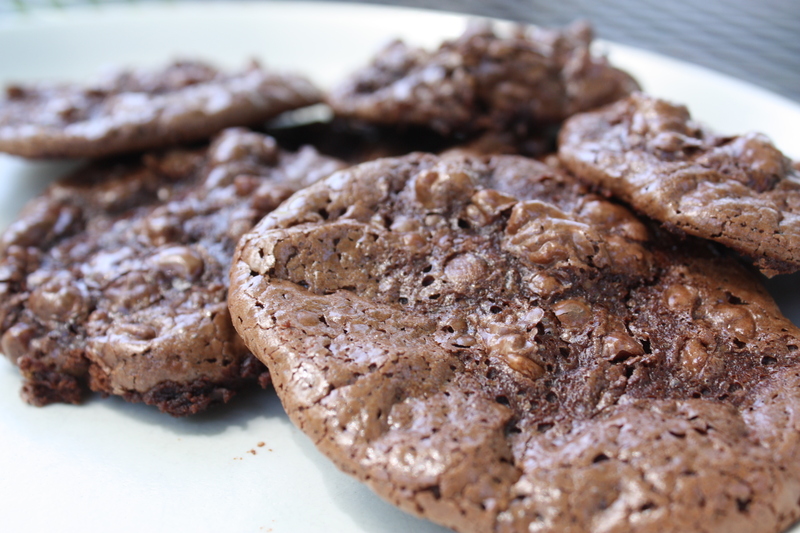 That being said, there are certainly delicious ways to eat without gluten, including these Flourless Chocolate-Walnut Cookies. Toasting the walnuts beforehand will give your home a warm aroma. It reminded me of the roasted chestnut stalls that you see in cities like Paris and New York. The lack of flour and the use of egg whites gives these cookies a meringue-like taste. Preheat oven to 350. Place walnut halves on baking sheet. Toast in oven for about 9 minutes, until they are golden and fragrant. Let cool slightly, then transfer the walnut halves to a work surface and coarsely chop them. Lower oven temperature to 320. Line two baking sheets with parchment paper. 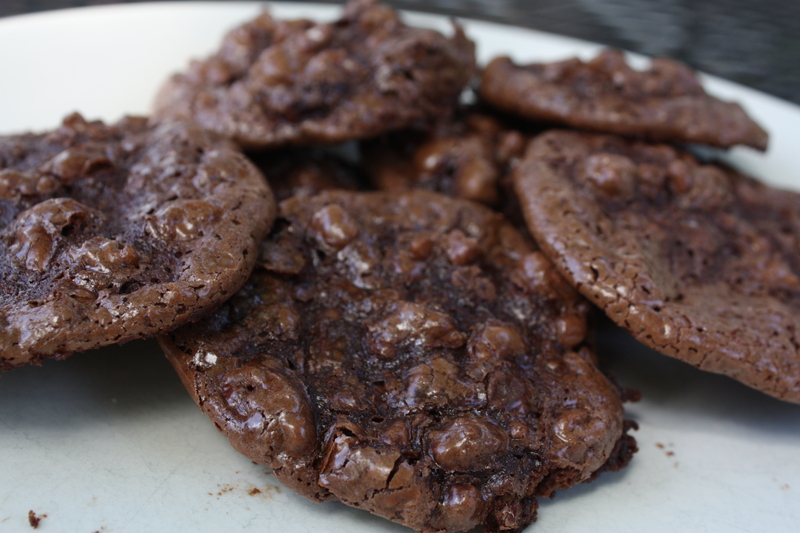 In a large bowl, whisk the confectioner’ sugar with the cocoa powder and salt followed by the chopped walnuts. While whisking, add the egg whites and vanilla extract and beat just until the batter is just moistened. Spoon the batter onto the baking sheets in 12 evenly spaced mounds, and bake for 14 to 16 minutes, until the tops are glossy and lightly cracked. Let cool.